For those of you who have completed paint projects before, or are interested in tackling a paint project of your own now, one thing that you may want to consider is how to take care of, and preserve, your paint brushes. Paint brushes are not inexpensive; therefore, it is important for you to take care of the brushes you have, in order to provide them with longevity and usefulness. As you complete the paint job that you are working on, rinse your paintbrush as soon as you possibly can, preferably before the paint has a chance to dry on the brush. If the paint has begun to dry already, or if paint was left on the brush for an extended amount of time, then you can use a brush with plastic or wired bristles to help remove the dried paint. A golf club cleaning brush or a grill cleaning brush should do the trick and will not harm the bristles of the paintbrush. 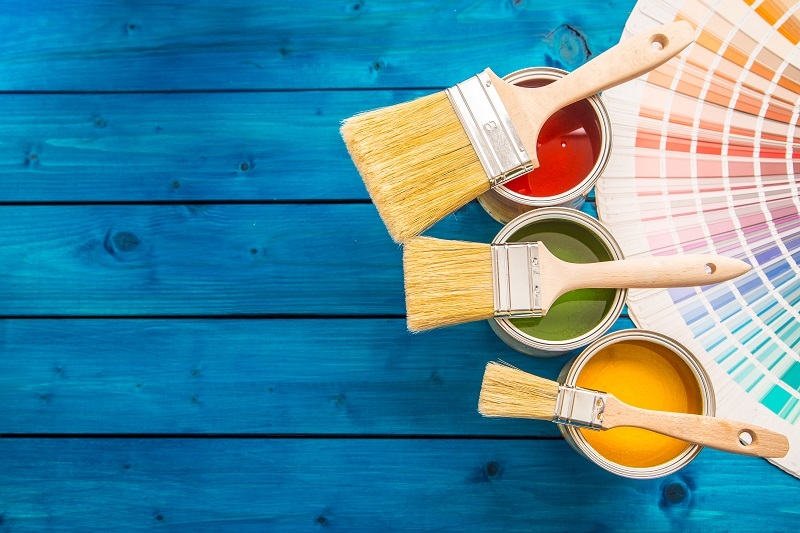 As you rinse a recently-used paintbrush under running water, you may want to rub the brush on a set of newspapers or paper towels, periodically, so that excess paint will be absorbed away from the paintbrush. Once the running water is pouring clearly over the paintbrush, then it is thoroughly cleaned and can be stored for use on another day. If you are in the midst of painting a larger project, such as a room in your home, you may wish to follow this trick that can be time-saving for you. If you plan to reuse the brush within a day or two, with the same color of paint, then you can simply wrap the brush in plastic wrap and store it overnight. Ensure that the plastic wrap is completely covering the bristles of the brush, and is placed tightly over the handle. This method will keep your brush from drying out, and will save you the trouble of rinsing the brush after a long day of paintwork. Feel free to contact us at Noel Painting.